NASA astronaut Shane Kimbrough is the station's commander. He is serving as Thanksgiving chef for the six-person crew. He showed off the specialties he'll be preparing in a video. "It's going to be a little bit different for us up here in space," he said. "But I'm going to try to make it as much like home as we can." Thanksgiving Day is a regular workday for the crew. 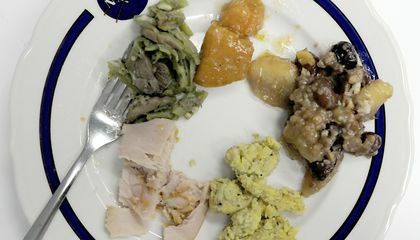 But Kimbrough will warm up pouches of sliced smoked turkey, candied yams, and cherry and blueberry cobbler. He'll also add water to the bags of freeze-dried cornbread dressing, green beans and mushrooms and mashed potatoes. Mission Control promises to beam up some live football games. They will "complete the experience," Kimbrough said. 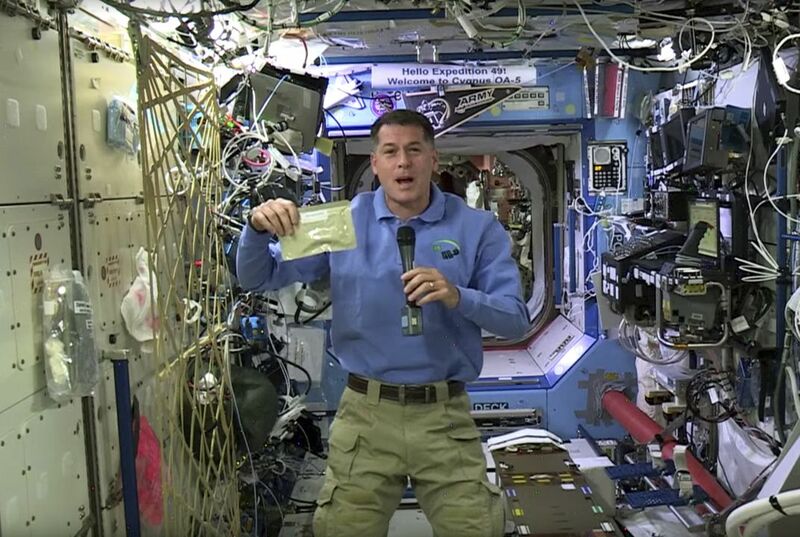 It will be the second Thanksgiving in space for Kimbrough. He is one month into a four-month mission. It is the third Thanksgiving for American Peggy Whitson. She just arrived at the orbiting lab. She is on a six-month stay. One Frenchman and three Russians round off the crew. NASA, meanwhile, is sharing its recipe for "out of this world" cornbread dressing. It's straight from Johnson Space Center's food lab. There is "no freeze-drying required." It is made from John Space Center's food lab. All you have to do is add water to the bags of freeze dried ice of cornbread dressing and that's what makes it out of this world. The cornbread dressing is made in Johnson Space Center's food lab and thats what makes it out of this world. The cornbread dressing is out of this world because it is made from Johnson Space Center's food lab and is also no freeze dried required.